7-KETO® LeanGels™, including CLA and green tea polyphenols, work synergistically to provide healthy weight management, as well as antioxidant power. 7-Keto ™ DHEA is an excellent choice for those seeking weight control supplement, because it has been shown to promote thermogenic activity and may have a positive effect on weight loss than diet and exercise alone have . * The chemical structure of this product is naturally found in the body, but studies show that the level of DHEA may decline with increasing age. Since 7-Keto ™ DHEA is effective in promoting weight control, no additional weight loss supplements to be taken . Adults can take one softgel daily with a meal. 7 Keto DHEA causes an increase in activity results of the thyroid hormone T3, leading to a stimulation of thermogenesis (the heat in the body) and metabolism. This will consume more energy and it comes to weight loss, which was confirmed in several studies. The most significant were the results if the same sport was run three times a week. Erythemadodes Lupus: Lupus erythemadodes (LE) is an autoimmune disease that destroys the body’s own tissues. Skin, joints and central nervous system may be affected, with sometimes dramatic impact on the quality of life of those affected. The capture of 7 Keto DHEA brought significant improvements in terms of the general condition. 7-Keto DHEA appears to be important for normal hair growth, sebaceous glands to be the function and the elasticity of the skin. At low DHEA levels occur in any event to accelerated skin aging, which could mean, according to initial investigations, that a normal DHEA levels have a certain anti-wrinkle effect and will remain the tension of the skin. 7 Keto DHEA increases insulin sensitivity of the body. 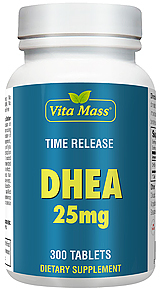 7 Keto DHEA causes an increase in CD-4 cells (T-helper cells), lymphocytes to fight viruses, parasites and some cancers are important. In patients with low CD-4 Mirror (HIV-positive patients), there was a significant increase of these important immune cells. Since 7 Keto DHEA also boosts the entire immune system, it could also generally serve to increase the resistance to infection. 7 KETO DHEA appears to be important for normal hair growth, sebaceous glands to be the function and the elasticity of the skin. At low DHEA levels occur in any event to accelerated skin aging, which could mean, according to initial investigations, that a normal DHEA levels have a certain anti-wrinkle effect and will remain the tension of the skin. It's awesome. I can really tell the difference in how I feel and my skin has been tightening up. Other Ingredients: Softgel Capsule (gelatin, glycerin, water, carob), Sunflower Oil, Beeswax and Soy Lecithin. As a dietary supplement, take 1 softgel 2 times daily with food. Consider taking this product in combination with NOW® Diet Support, L-Carnitine Liquid and LipoTrim.